What exactly is MCT, and how do we derive MCT oil benefits? Here’s how MCTs—medium-chain triglycerides—should factor into your diet. MCT oil benefits may involve heart, brain, energy level, and digestive health, research is showing. As such, some nutrition experts are contending that medium-chain triglycerides should be included in our daily diet. 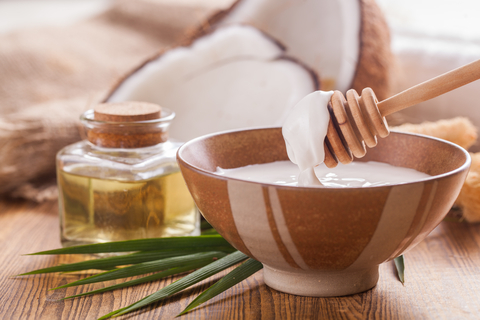 Medium-chain fats, as found particularly in coconut oil, are easier to digest than long-chain triglycerides (LCTs). In Western diets, we’re encouraged to go easy on saturated fats, but research has shown that they can be important building blocks for cell membranes while providing a worthy source of energy. 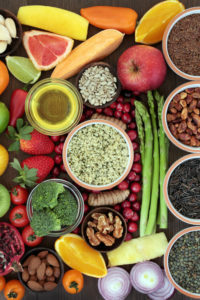 “Saturated fats are quite heterogeneous in nature and potentially also in their health effects,” according to doctors who conducted a study reported in The Journal of the American College of Nutrition. Studies have shown that MCT oils can help us lose or manage our weight, partly because they’re lower in calories than other fats. Plus, medium-chain fats digest easily and travel directly to our liver; once there, they facilitate thermogenesis, the process that boosts our metabolism and ability to burn fat. Like anything, moderation is important; heavy doses of MCT oil could negate its benefits and even increase the potential risk for heart disease. MCTs also may be effective in dealing with gastrointestinal issues. An article in Practical Gastroenterology in 2017 reports, “Medium-chain triglycerides [MCTs] comprise a glycerol molecule attached to 3 fatty acid chains ranging between 6 to 12 carbons in length. Unlike most other lipid molecules that require a complex process of digestion, MCTs are more easily absorbed into the bloodstream from the gastrointestinal tract. These features of MCTs confer unique benefits in the management of gastrointestinal disorders. alzheimer, brain, brain health, calories, cardiovascular, cardiovascular disease, cardiovascular risk, coconut oil, dementia, diet, digestion, digestive, gastroenterology, gastrointestinal, gastrointestinal health, health, healthy fats, heart disease, heart health, ketones, mct oil benefits, metabolism, milk, nutrition, obesity, omega 3s, plaque formation, short chain fatty acids, Triglycerides, yogurt. I should have MCT Oil in my diet before. But will surely add it to my diet starting now. I have consulted with licensed dietician to confirm what I found doubtful about this article on MCT Oil and the response was that at this time, (the MCT Oils) do not have evidence-based research to support the claims in the article. I have recently begun using MCT oil. I use it 1-2x a day, sometimes to add to food, or salads. For me, it does increase weight loss. I am on a ketogenic diet, and lose about a pound a week. My cognitive function was quite strong, and now is even better. I do not have any of the short-term memory loss that my family and close friends have mentioned they are experiencing. Navy seals have long employed a ketogenic diet, and new studies have shown high success rates in other studies within the military (see article within UHN Daily for summary and link to this study).